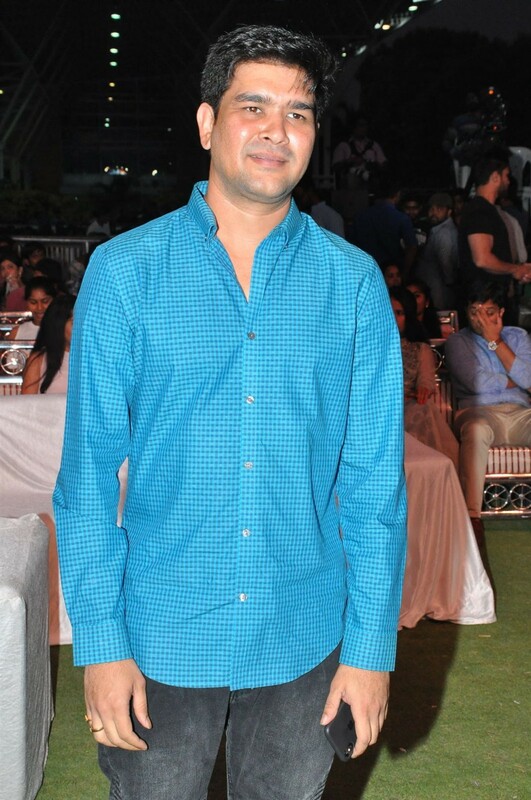 Director Krishna Chaitanya gets clicked on his arrival at Chal Mohan Ranga pre-release event in Hyderabad. Telugu movie Chal Mohan Ranga pre-release event held at Hyderabad. Celebs like Pawan Kalyan, Nithin, Megha Akash, Lissy, Dil Raju, Shyamala, Nikitha Reddy, Radha Mohan and others graced the event. Actor Nithin poses for the cameras during Chal Mohan Ranga pre-release event in Hyderabad. Megha Akash, Nikitha Reddy at Chal Mohan Ranga pre-release event in Hyderabad. Megha Akash pose for the cameras during Chal Mohan Ranga pre-release event in Hyderabad. Actress Lissy attends Chal Mohan Ranga pre-release event in Hyderabad. Anchor Shyamala addresses media during Chal Mohan Ranga pre-release event in Hyderabad. Sudhakar Reddy pose for the cameras during Chal Mohan Ranga pre-release event in Hyderabad. Gemini Kiran arrives for Chal Mohan Ranga pre-release event in Hyderabad.